When our realtors took us around South Texas to look at potential homes, we were surprised that many of the houses had fireplaces! Having just moved from Northern Illinois, we knew what it was like to live in freezing temperatures. However, the southwest does get its share of chilly nights during the late fall and winter seasons. When the weather cools down, we warm up by our mostly-decorative gas fireplace or easily make a cup of hot chocolate—Mexican style! 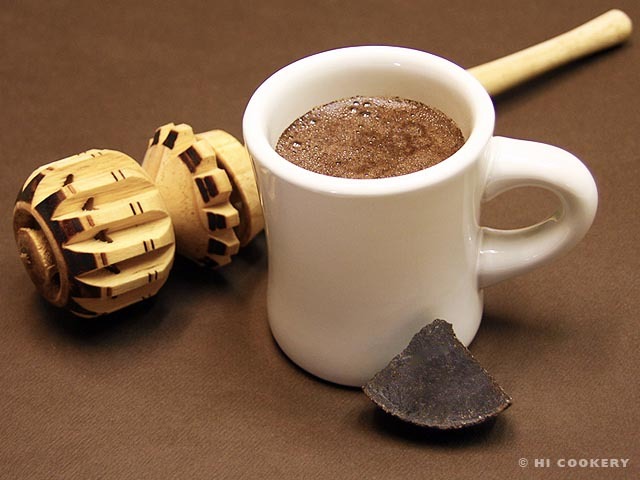 The frothy drink that we have come to enjoy today was originally called xocolātl (bitter water) in the ancient Aztec language. Sweetened by centuries of European trade and global commercialism, chocolate beverages are desirable worldwide. For a blog post in observance of National Hot Chocolate Day/National Cocoa Day, we made Mexican hot chocolate by dissolving tablets in milk and mixing it with a molinillo (a wooden whisk). The handle of the molinillo is rubbed by the palms of both hands to create frothiness. A blender or shaker may also be used as a modern twist for a traditional taste of Mexican hot chocolate. Carefully cut the tablet in quarters or in half per one-cup serving. In a large cup, microwave or heat the milk until hot. 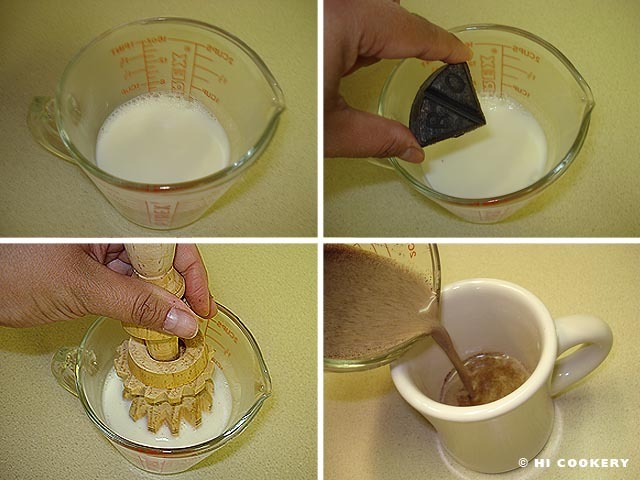 Drop a piece of the cut chocolate tablet into the cup. 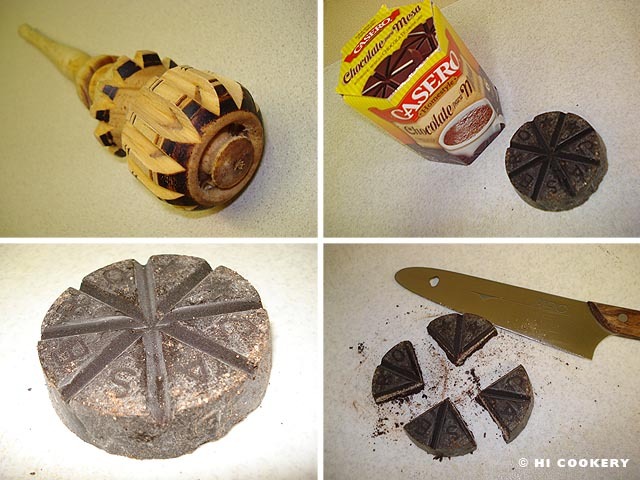 Press down on the chocolate with a molinillo or spoon to dissolve it into the liquid. Stir vigorously until mixed well and frothy. Pour into a mug. Garnish with whipped cream or a stick of cinnamon. We personally use ¼ instead of ½ of the chocolate tablet per serving. There is already a hint of cinnamon flavoring and sugar and is sweet enough for our tastes. Add more sugar if necessary. Mexican chocolate tablets can be found in major grocery store chains in either the Latino food section or hot chocolate drink mix aisle. Search our blog for posts using Mexican chocolate tablets as an ingredient in different recipes. We bought our molinillo at a Mexican marketplace. Watch a video clip here on how authentic Mexican hot chocolate is made. The video clip was not allowed to be shown over here in Germany! That’s too bad you can’t see the video over there. Come home to America soon and I’ll make some xocolatl for you!